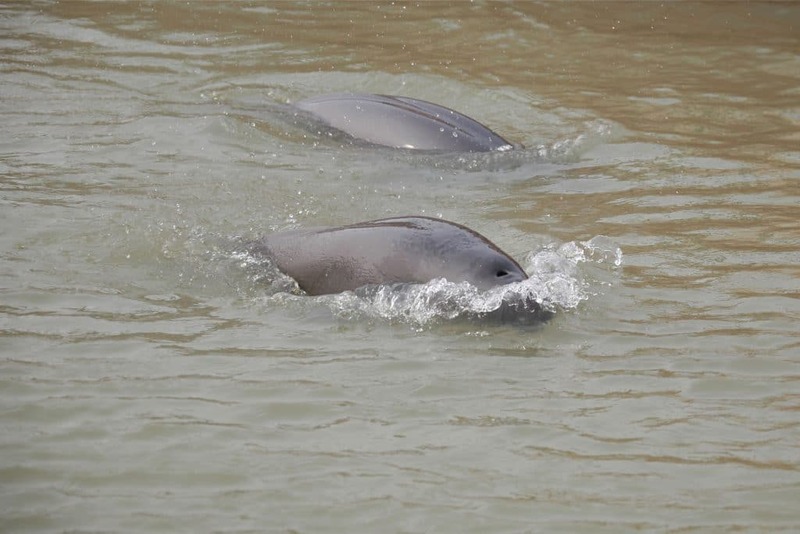 Within the latter there are even two additional sub-species – the Yangtze finless porpoise (N. a. asiaeorientalis) and the East Asian finless porpoise or Sunameri (N. a. sunameri). This really illustrates the incredible variety of cetacean species (whales, dolphins and porpoises) that inhabit our seas and rivers. 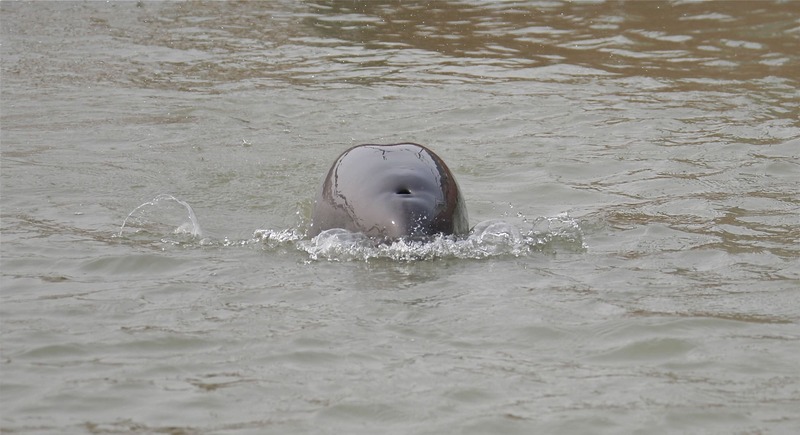 What do narrow-ridged finless porpoise look like? Small and stream-lined and as their name suggests, lacking a dorsal fin. Instead of a dorsal fin they have a ‘narrow-ridge’ running the length of their back, which is covered in wart-like tubercles. They also don’t have a beak and have a pretty bulbous head relative to their size. What’s life like for a narrow-ridged finless porpoise? Busy. Finless porpoise are very active and have been seen to ‘dart’ about just under the water surface, changing direction quickly and often. They prefer to be either alone or in small groups although groups of us to 50 individuals have been sighted in Chinese waters. They are quite cryptic and are known to be very shy of boats and humans, the latter of which present multiple threats to the very existence of these little porpoises. What do narrow-ridged finless porpoise eat? Being amongst the smallest species of whale, dolphin and porpoise the diet of the narrow-ridged finless porpoise is composed of some of the smaller examples of bottom-dwelling fish, crabs, shrimp, octopus, squid and even cuttlefish. 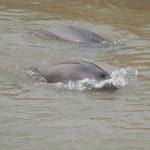 Where do narrow-ridged finless porpoise live? 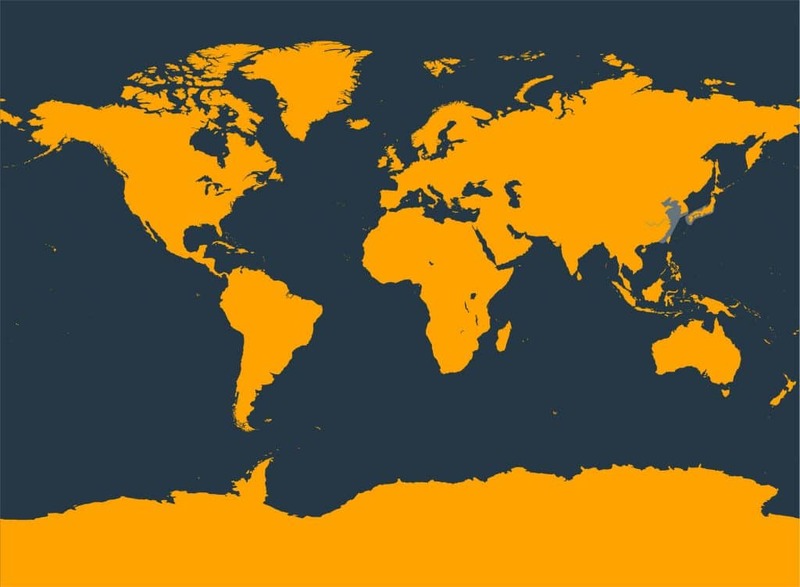 Narrow-ridged finless porpoises prefer shallow, coastal waters and can be found from the Taiwan Strait north into the Yellow Sea and into southern Japan. 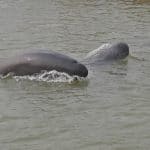 As its name suggests, the Yangtze finless porpoise is found only in the Yangtze River and some associated lakes and estuaries. 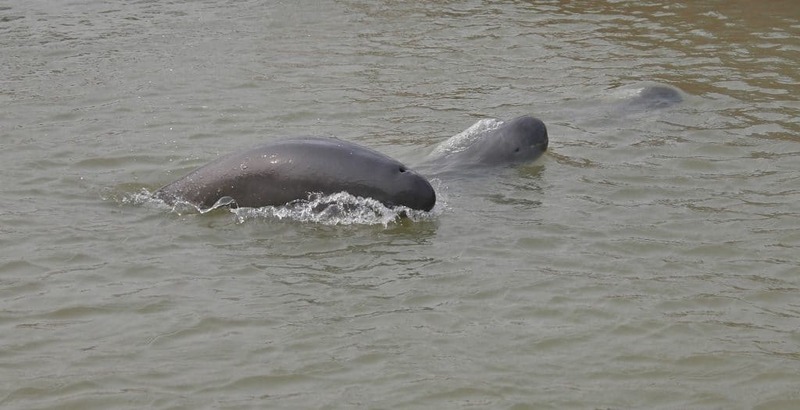 The Yangtze finless porpoise used to share its habitat – the Yangtze River – with the Yangtze River dolphin or baiji, declared extinct in 2006. Unfortunately, this little porpoise may be headed the same way as it is currently classified as Critically Endangered. Stop hunting – whether used opportunistically as a result of bycatch, or the victims of directed hunts, the narrow-ridged finless porpoise is under serious threat. Entanglement in fishing gear – their preference for nearshore waters brings them into close contact with a variety of fishing gears. 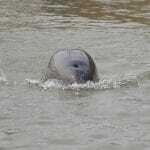 Healthy Seas – pollution is one of the burgeoning threats facing narrow-ridged finless porpoise throughout their range. By adopting a whale or dolphin, by making a donation, or by fundraising for WDC, you can help us provide a safe future for these amazing creatures. Adopt a dolphin and help us protect these amazing creatures. Run, bake, walk, cycle… what could you do for whales and dolphins?